It’s a common issue that isn’t talked about very often. 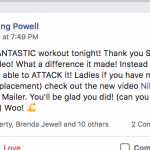 Would you like to see how it feels to do a gentle, enjoyable, age-reversing, disease fighting fitness program for women, just like all the women in the video? If you’re like 88% of the population you’re most likely still struggling to get yourself on track with your health and wellness. The good news is your health and wellness can be PROFOUNDLY improved with a proper fitness program geared toward your needs and abilities. In the video above we share some key revelations that will NOT find, see or hear anywhere else. That one drop of hope, inspiration and fuel for motivation might just be what you hear in the video. Watch, listen, and share it. These messages need to be heard and it is the ONLY way our society is going to become healthy – or at least the people who choose to no longer be ignorant – and become “self-aware and proactive”. Today we share a little bit of this positive and inspiring feedback with you – with words directly from some of our clients. Do You Know Why We Share The Feedback From Our Clients With You? Because we know we can help you in ways that NOBODY else can. We’ve been given something very special and powerful to bring to the women of the world… to women just like you. It happens because people CHOOSE to let it happen. People make detrimental choices during the months of November and December (some start as early as Halloween), that lead to weight gain and deteriorating health (physical, mental and emotional). DON’T Wait Until January. Because you know how that panned out in the previous years. A – Create a simple weekly fitness activity schedule and stay faithful to it. (Our clients at SCULPTAFIT make their sessions here in the Studio the main focus of their fitness schedule.) IF you don’t have a current program you can consider the free 7-Day Slim & Tone at Home Program that we offer (free link provided at end of this article). B – Write down/schedule your D.I.B.S. (Days In Between Sessions) activities into your calendar/planner: You are far more likely to follow through on things that you actually write/type into your schedule so that it becomes visible and tangible. (this is such a simple, but POWERFUL strategy – JUST DO IT). D.I.B.S. are what our clients are encouraged to do on the days they are not in the Studio for a SCULPTAFIT Session. D.I.B.S. activities can range from a simple power-walk with a friend to one of the home/travel exercise videos in your private-client video library. You have LOTS of fun options for D.I.B.S. – but you have to ‘place’ them on your schedule. C – Start being mindful of the party invites and the food consumption that goes along with those parties. By being mindful of these future situations, you can be in a better state of mind to avoid overindulgence and the yucky feelings that result in the unneeded excess calories. Pre-determine your mindset, based on your values and the goals you have in mind for YOURSELF. Don’t default to how others “expect you to behave” during the holidays. QUESTION TO PONDER: Why should you mimic the self-destructive behavior of others, just because you are spending time with them? You have the awareness and the power to choose what you’ll eat and drink and how much you’ll eat and drink. [ACTION TIP 1] Take a picture, or print out a copy of your calendar/schedule for the next 3 months and make notes of events/gatherings. [ACTION TIP 2] Use a highlighter or colored pen to highlight where potential food/beverage issues may present themselves. By doing this you can premeditate your approach to these parties and meals with your “January Goals” in mind. Just “seeing” your upcoming schedule, and referring to it as a reminder, can strengthen your motivation to stick to your path, REGARDLESS of how other people behave at these events and parties. A – Make healthy dishes if you’re serving at your house, or if you’re bringing a dish to a party. B – Be mindful and reasonable on YOUR portion sizes when eating. Think back to years past: What state of mind were you in every time January rolled around? Were you upset with yourself? Were you depressed? Were you in a state of despair? Did you repeat the “new year resolution” gig? Only to fall off in a few weeks? If so, you want to use that “future vision” of the scenario you want to replace with a much better future vision. A positive one that has you ALREADY in gear making positive progress and improvements. Then put the numbers 1, 2, 3 on the sheet – and take just a few minutes to write down 3 reasonable but meaningful goals. (these may already be in your FIT-Q, but be sure to restate them on this new sheet as well). Keep in mind you will be able to update your sheet with new goals (for Spring and then Summer, etc…) as you get close to, and reach, your initial goals. D – Feel a noticeable increase in self-esteem and self-confidence, so other areas of my life are enhanced. WRITE these goals down and post them where you can SEE THEM DAILY. This is simple, but also SUPER-POWERFUL. Please don’t underestimate this step. This is a simple strategy for success. What we put front and center is kept “top of mind” and we exponentially increase our ability to reach our goals in our desired time-frames. …now if you’re thinking you need guidance and the right people to help you, in order for you to know you’re on the right path and to be connected to like-minded women who are supportive, encouraging and empowering, then get in touch with us. We know we can help you in ways that NOBODY else can. We’ve been given something very special and powerful to bring to the women of the world. Women just like you. Debbie’s story is actually a bit deeper and more powerful than shown above. She overcame a battle with cancer before finding us, and we’ll be sharing that story in due time as well. 2 – Find supportive activities that you can do on the other days. You must do some physical activity on your “sedentary” days in order to reverse the evil effects of aging. 3 – STOP yo-yo dieting. …And just create a sensible plan of eating that can be followed all year round no matter where you are and what you’re doing. It’s quite possible to do those on your own – BUT very unlikely as you might already be thinking. And that’s why we are here… to create the right scenario for YOU to follow the right steps, easily and naturally – for life. If you’re unsure or still uncertain, just reach out to Nikki (904-891-3680) to set up a time to talk so you can get everything you need to know in order for you to start taking the positive steps for yourself. If you’re a little unsure or insecure, no worries, because we totally understand – and we’d be happy to have you visit for a relaxed Studio Tour, so you can really get a feel for what we are all about and how we can help you turn your health and fitness around. 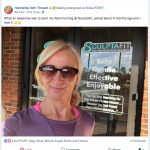 PS – call or text Nikki right now (904-891-3680) so you can try one our gentle Signature SCULPTAFIT Sample Sessions (at NO CHARGE, totally free, 100% “On the House”!).. or maybe you just want to visit for a Studio Tour to see what we have here for you, before you try a Sample Session. PS – even if you just have some questions about it, give her a call, so you can see if this is actually something that would be a great fit for your personal needs. Maybe you just want to come on for a relaxed Studio Tour as a first “baby step”, and then maybe try a Sample Session after that… Just let her know. It is one of the essential ways for her to protect, honor and optimize her body and mind for living with strength every day, and for years to come. The actions of fitness (properly structured exercise) should provide a place where her body and mind can work together in a pleasant and enjoyable way. If the venue or method is not enjoyable, then there is an inherent obstacle that will take her off her desired path of wellness, longevity and optimal health. 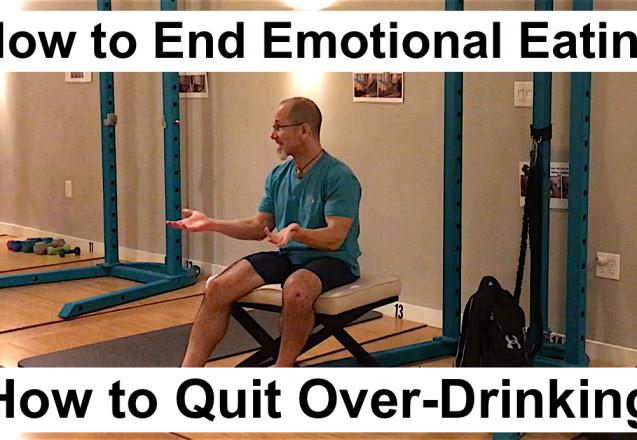 A fitness program that hurts, feels isolating, and is just not enjoyable is most likely going to end by putting the woman back at the starting point again, still searching for “the right thing to do”. First we’ll list the common struggles of the average, middle-aged woman. Because it is these ongoing issues that falsely make a woman feel “older” than she actually is, and they are what falsely mask her youthful characteristics and drain her true zest for living life the way she “really” wants to. But what about the woman who DOES try some of the traditional fitness offerings out there, and then experiences injury, ongoing discomfort, more weight gain and bulkiness, or just flat out lack of desired results to warrant the stressful & unrealistic efforts? The answer is simple: When we do the ‘wrong thing’, we will not get the desired results and outcome. In fact, we often get the opposite, with things getting worse. This is a VERY common story among many women who’ve made sincere attempts to get herself back. What Is a Woman to Do, In Order to Regain Her Health, Wellness and Youthful Energy for Life? In essence, the right method can put a woman back in touch with herself, her “true” self. It can reconnect her mind with her body and make them work as one again and in effect, reawaken her true spirit – the real her. 7 – Must include support for travel, so she can stay on the program even when on the road. The youthful woman hidden inside the hardened, dark and layered shell, begins to break out of that shell, and eventually she reemerges as the wiser version of her youthful self… Fit, healthy, energetic – and a positive influence and role model to those around her. She has found a way to fix the things that have been dragging her down. She now has what she needs to reverse the visible symptoms of premature aging and to reduce the risk of disease and age-related disability. She now realizes that youth isn’t defined by a chronological number. It is defined by your state of mind, body and spirit. In essence, she chooses “how young” she wants to be. A proactive approach to proper fitness & wellness is one of those key choices, and is the critical foundation, of an optimized and balanced life… A life lived to the fullest, as it was meant to be. How Many Wishes Do You Have? Best Option 2– Or, if you’ve seen and heard everything you need in the video and posts above, and you’re ready “get on your program”, then Send Nikki a note here, to see if we have any Private-Client Spots open.